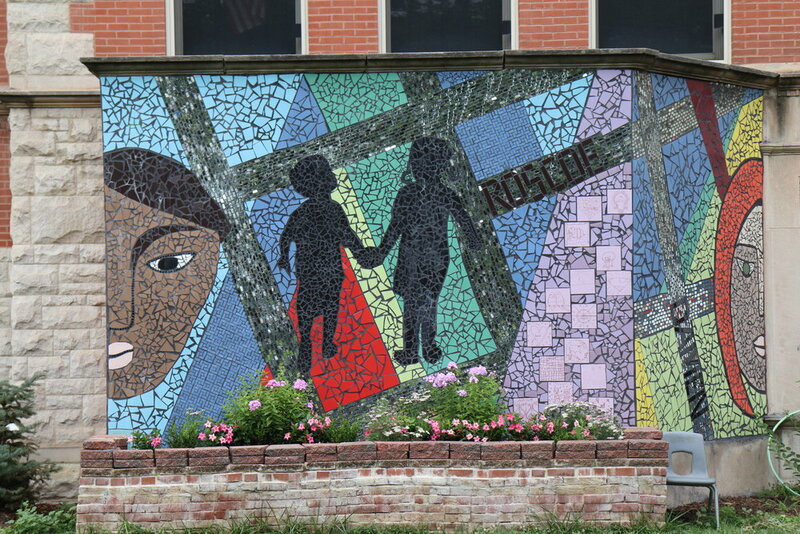 Description: This installation includes two mosaic planters and two sculptures. 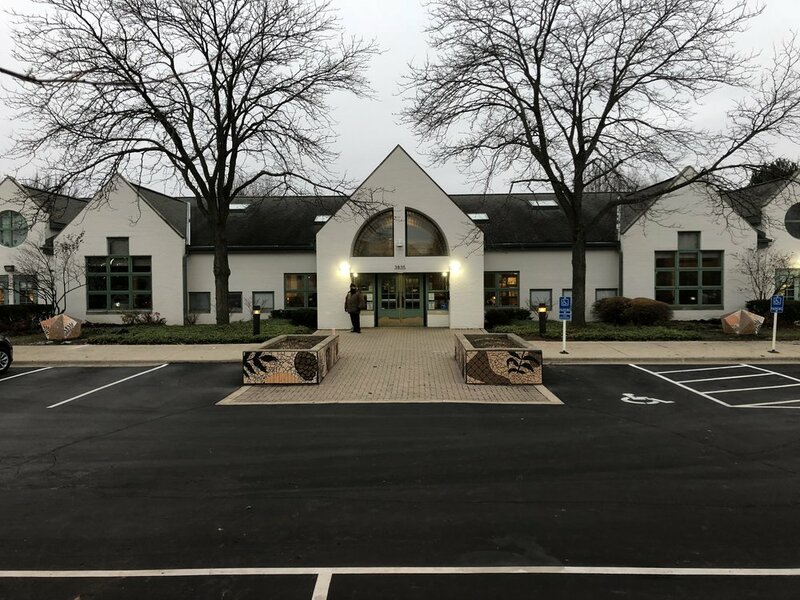 Gertrude Nielson pre-schoolders helped in the creation of ceramic pinecones which can be seen on each planter. 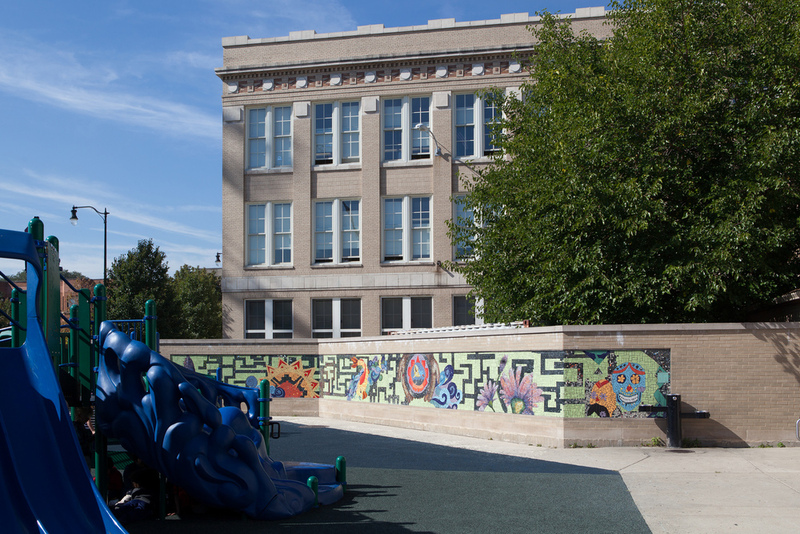 Description: Our team worked with After School Matters students to beautify Swift Elementary School’s auditorium walls. 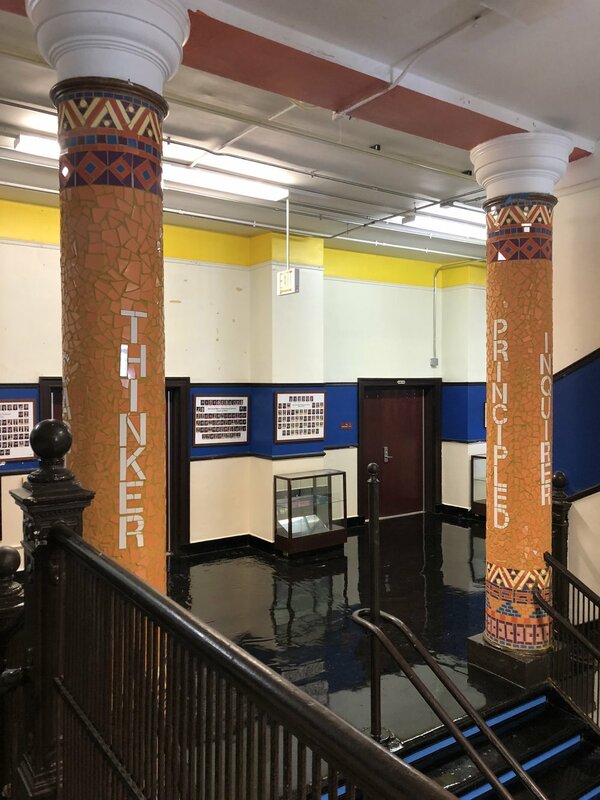 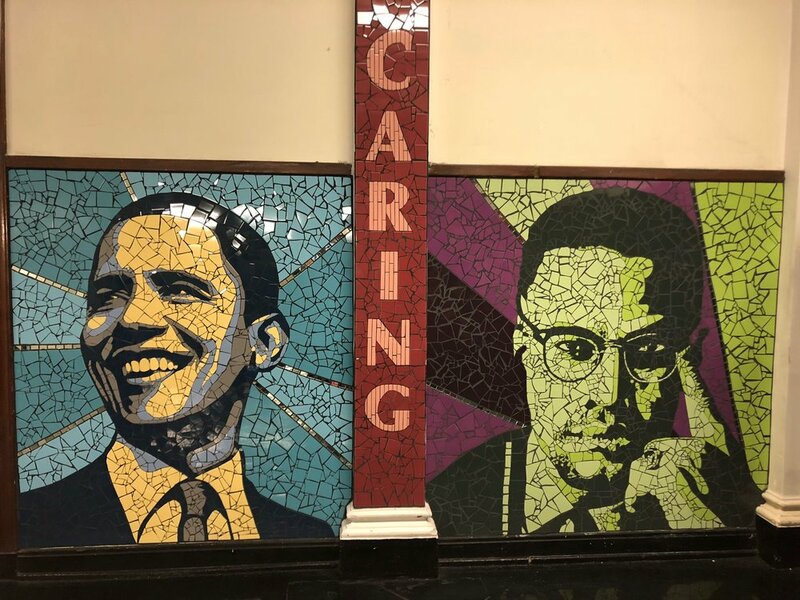 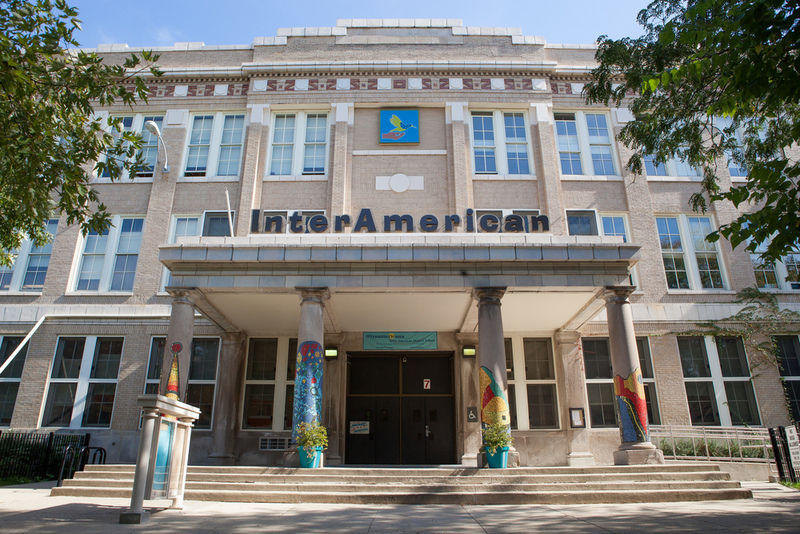 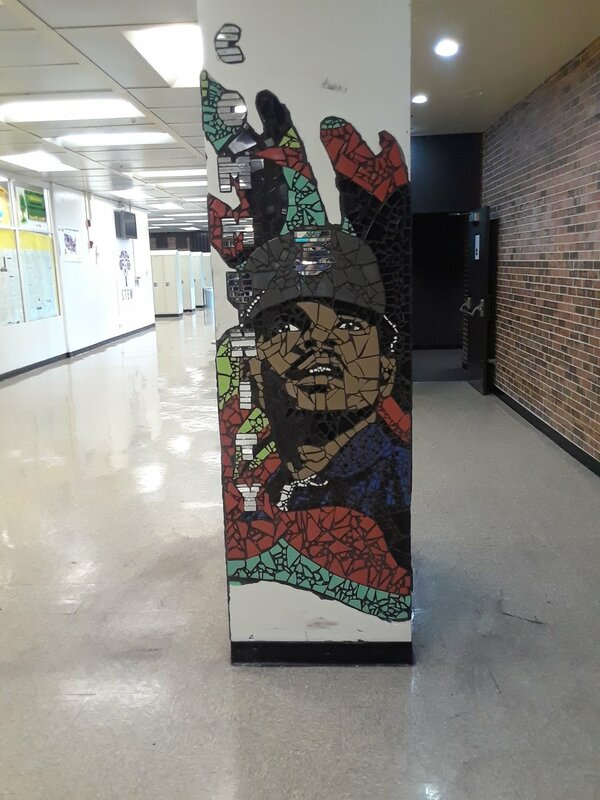 Description: In 2017, the students at Fernwood Elementary on the far South Side chose to honor Dr. Martin Luther King Jr. and President Barack Obama alongside inspiring wording that decorates columns throughout the school's main hallway. 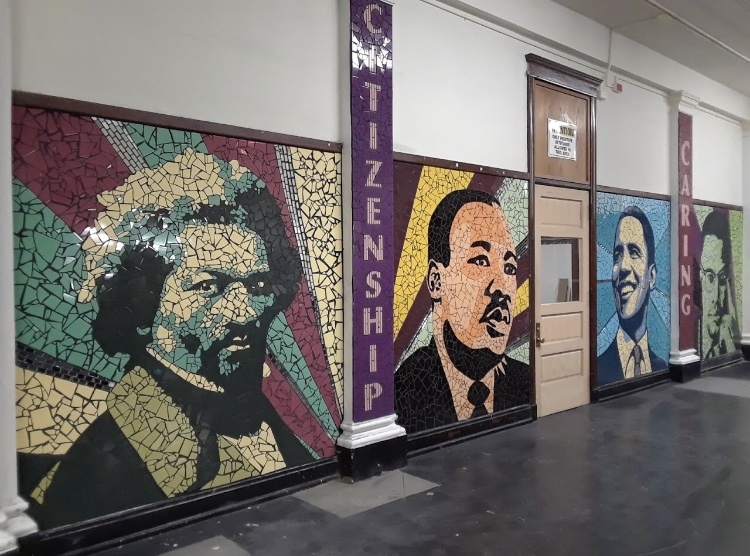 Later, we worked with students to extend the mural and pay tribute to other important African American influences; Frederick Douglas, Angela Davis, Malcolm X, and The Black Panther Party. 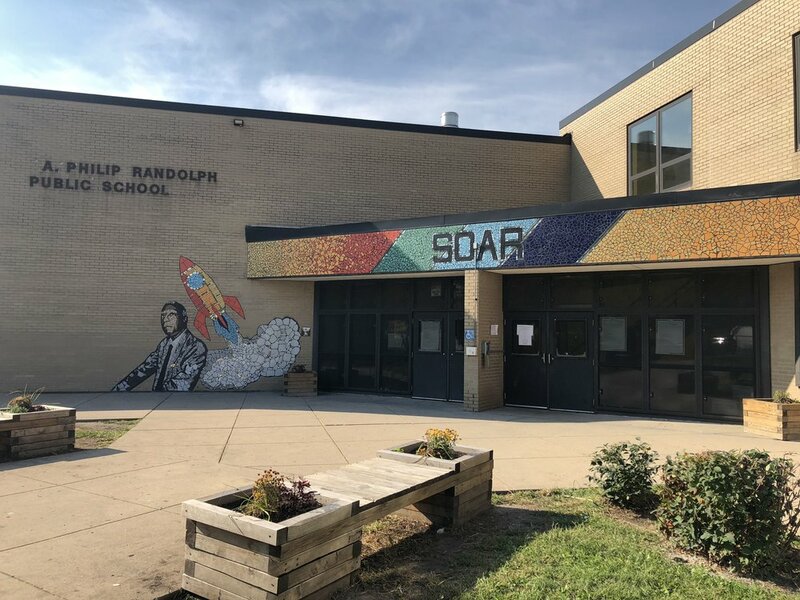 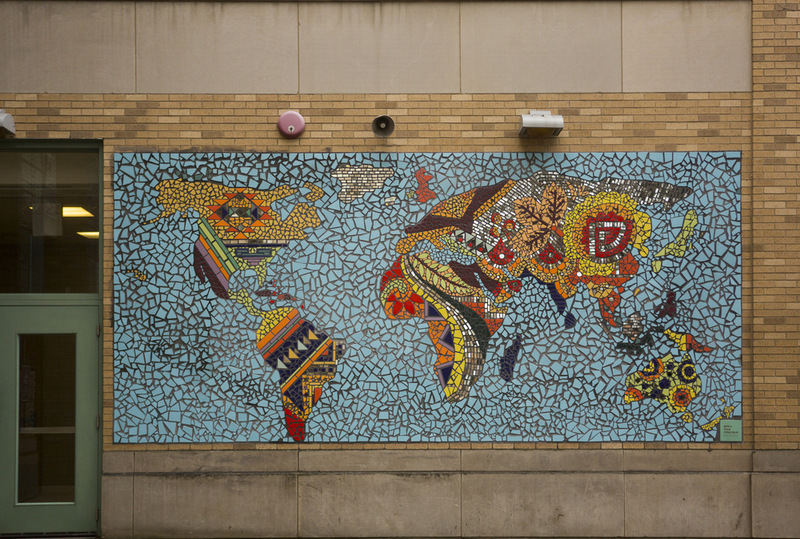 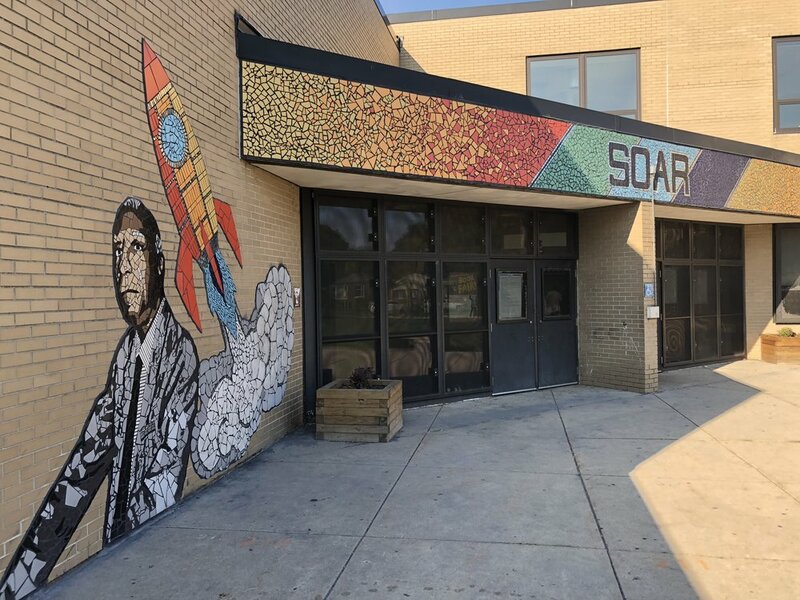 Description: Over three school years, GSM worked with 4th-8th grade students at Skinner West Elementary to beautify their school with internationally-recognized skylines, three-dimensional stars, and multicultural images and sculptures that celebrate diversity. 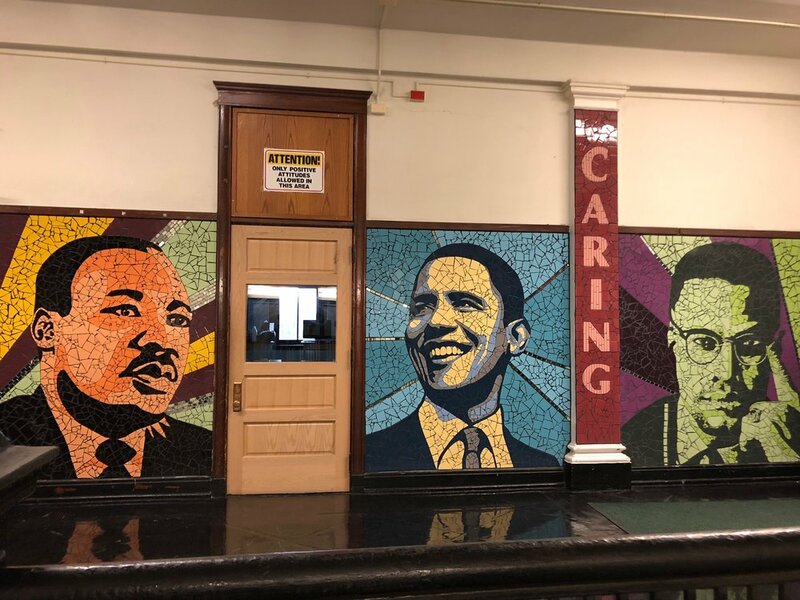 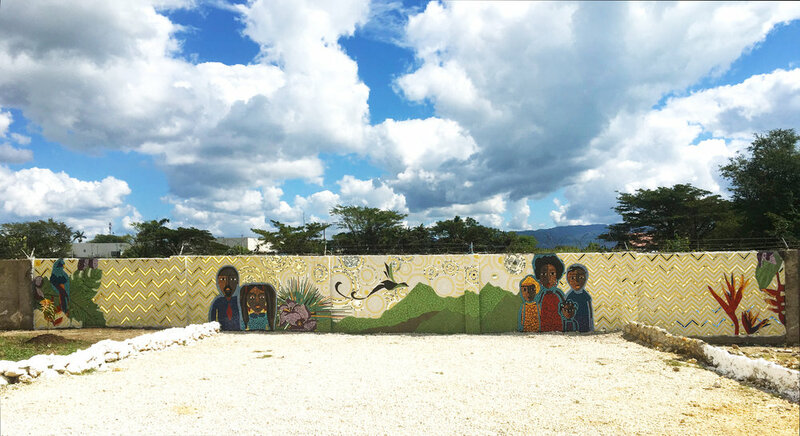 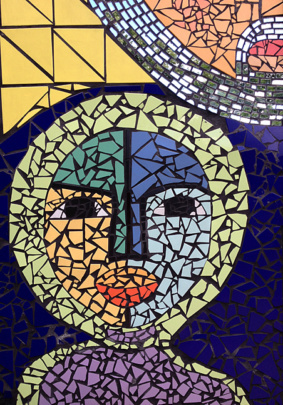 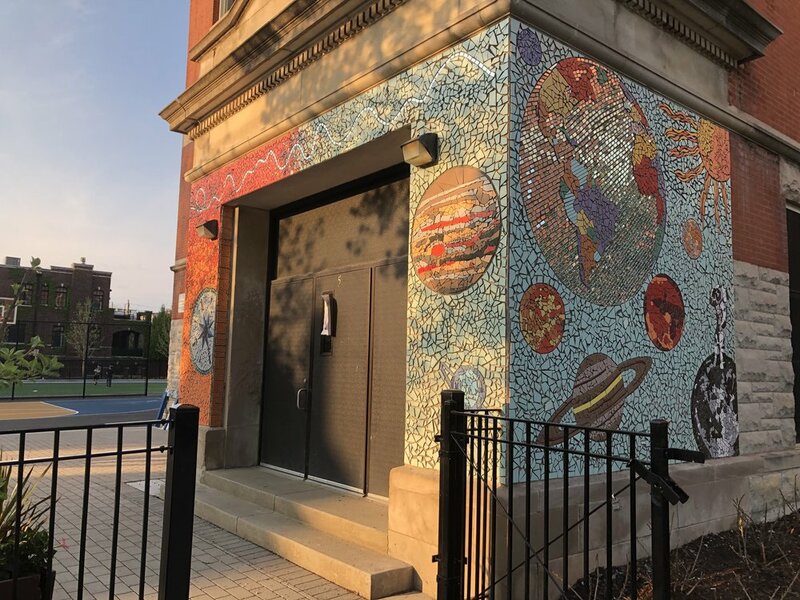 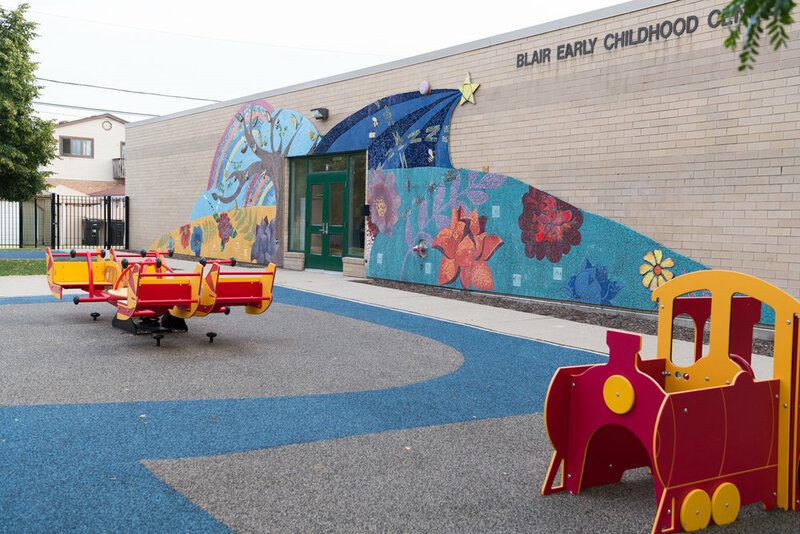 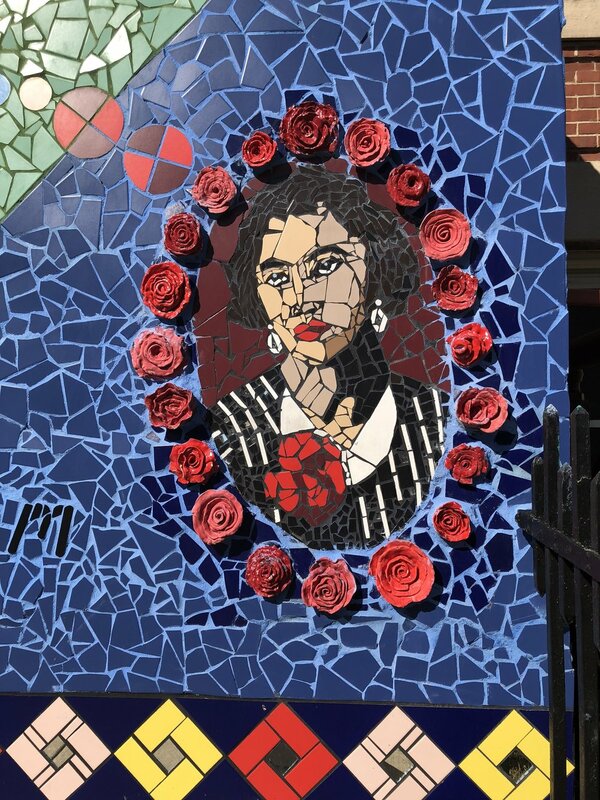 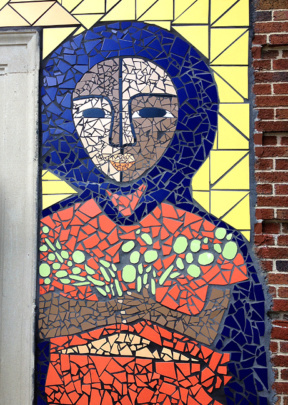 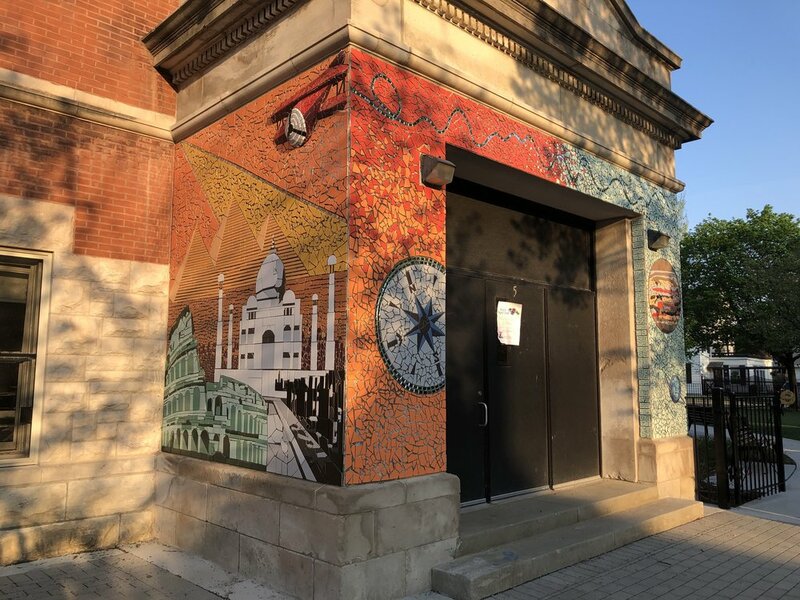 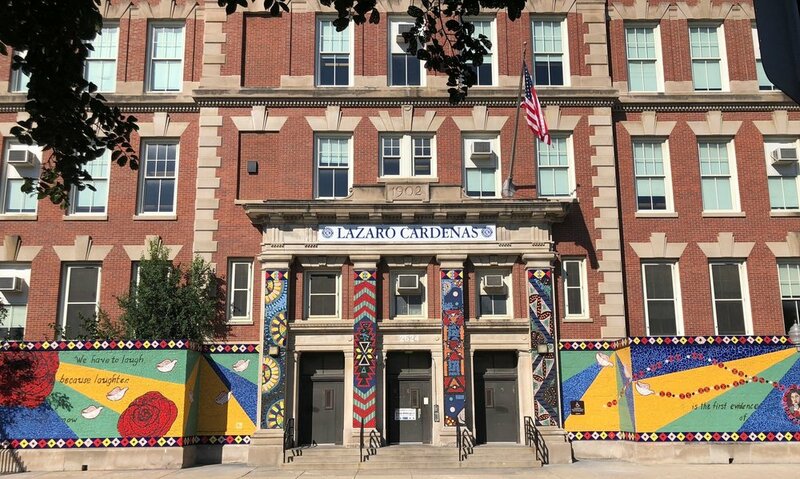 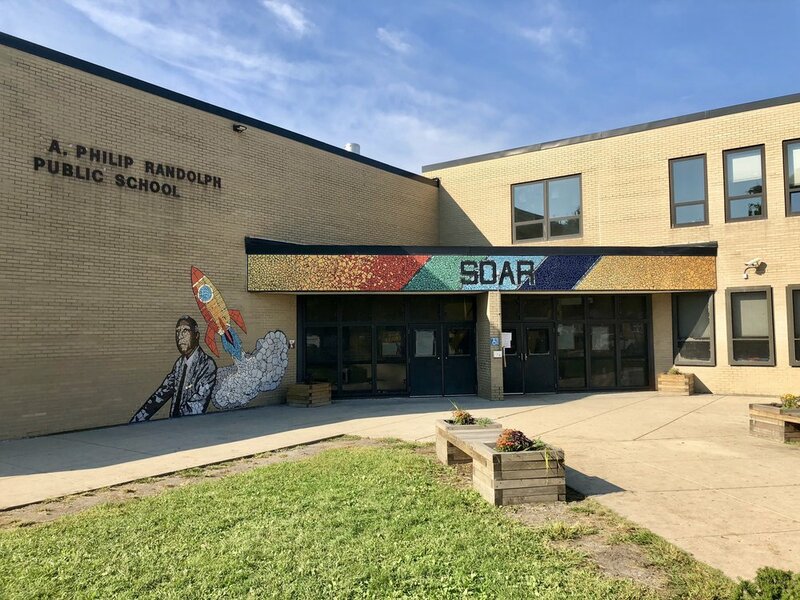 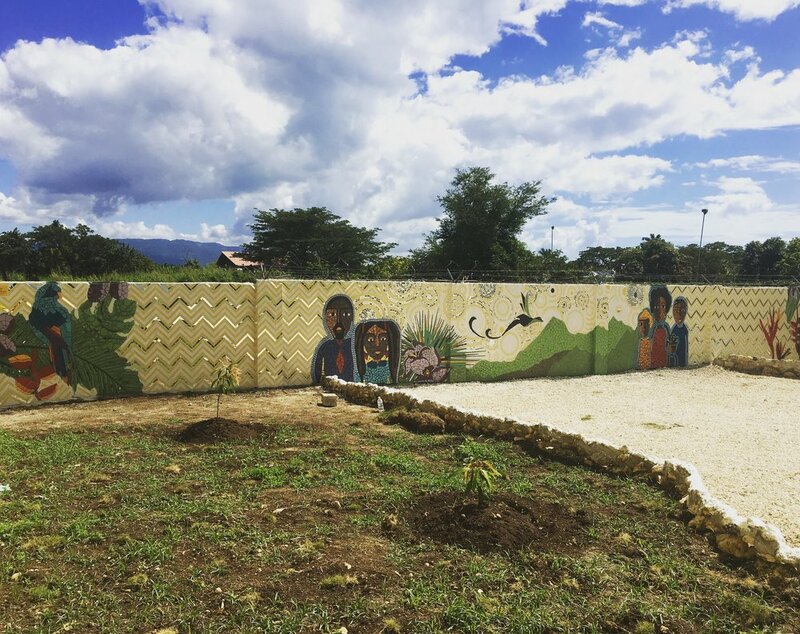 Description: From 2014 to 2016, with the help of 4th-8th grade students from Mann Elementary, Green Star Movement completed murals that wrap around the school's exterior and brighten up the playground and cafeteria. 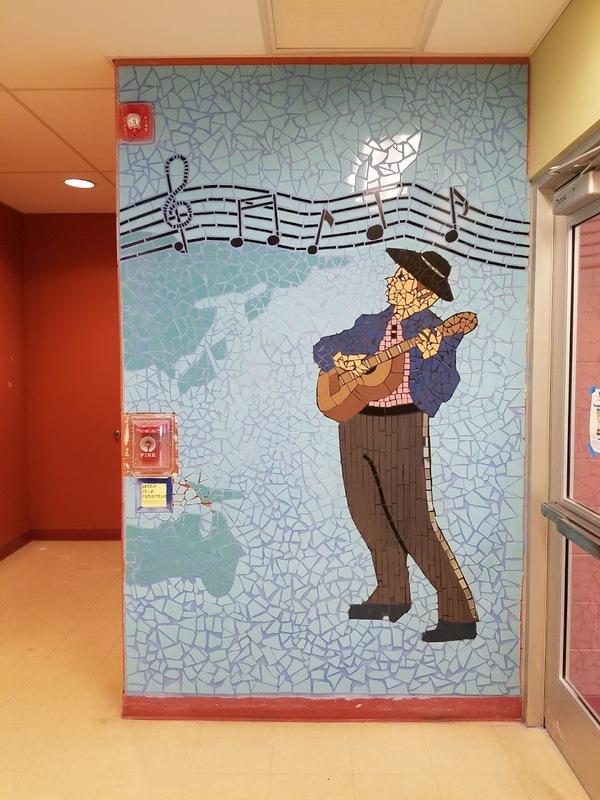 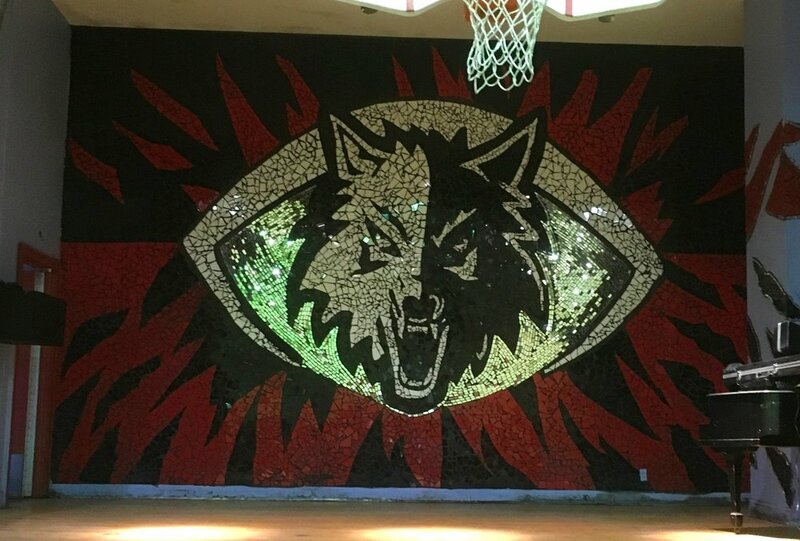 In 2017, we completed the final phase of a 4-year project to wrap Mann Elementary with mosaic. 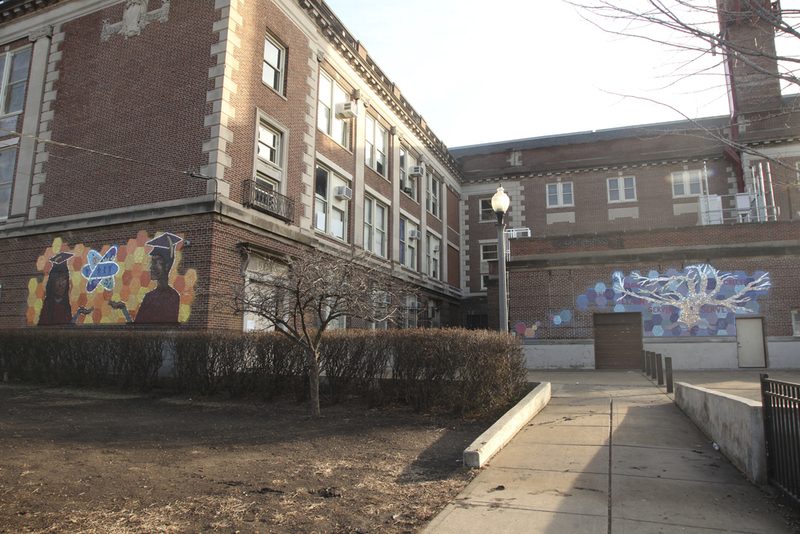 The coup de grace was this 150 ft smoke stack that is covered in hot air balloons. 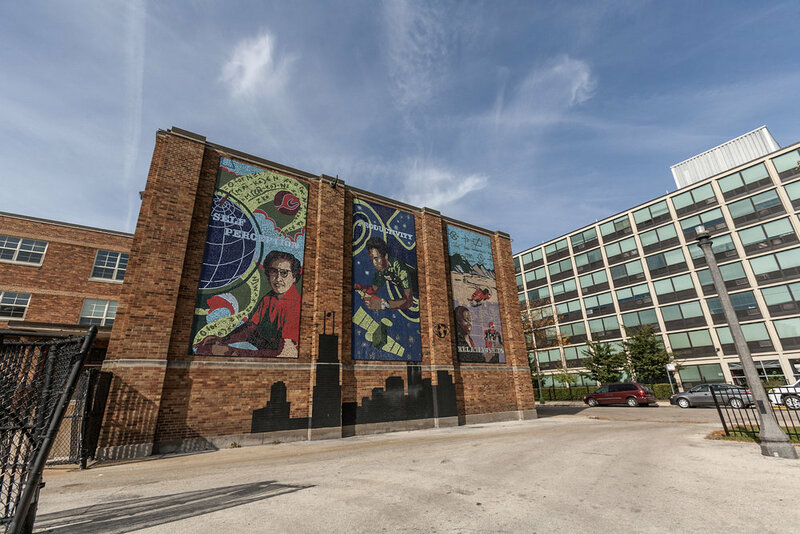 The balloons' designs range from prominent African Americans such as Katherine Johnson of NASA and Thurgood Marshall of the Supreme Court to symbols of our community such as the Chicago flag and a cardinal, the state bird of Illinois.